The confusion is understandable. For years it was illegal for someone to directly seek care from a physical therapist without first having a referral from a physician. However, for many years now, (since 1985 in the state of Utah) “direct access” legislation has allowed consumers to initiate care directly with a PT without any restrictions. In 2005, Medicare lifted the requirement of a physician visit and referral in order for physical therapists to be reimbursed for their services. Medicare requires that a plan of care with specific requirements be signed by a physician within 30 days of initiating care with a PT. Most patients have a relationship with a primary care physician that will certify the written plan of care from the PT. Although some private insurance companies still require a physician referral prior to paying for PT services, this practice today is more and more uncommon as these companies are recognizing the efficiency and cost saving that direct access allows. 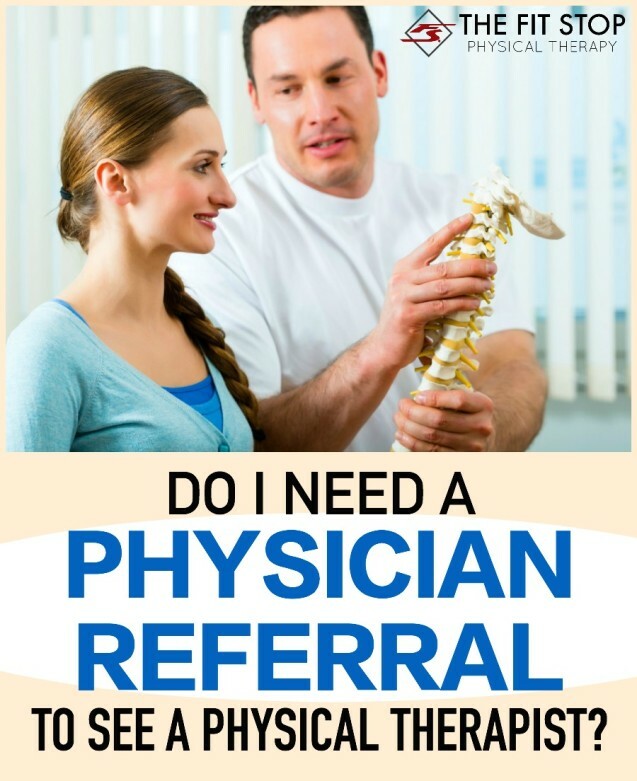 Give us a call or contact your insurance company directly to find out if your insurance company still requires a physician referral for payment. The direct access laws now in place greatly improve the ease of access to care, decrease treatment wait time, and ultimately reduce overall healthcare costs . From personal experience, direct access to PT not only makes a lot of sense, it takes a burden off the patient. Most musculoskeletal injuries respond exceptionally well to physical therapy, so why not think PT first and get started without any restrictions?! Physical therapists receive a doctorate level of education and are well trained in the diagnosis and treatment of a broad range of musculoskeletal disorders. Doctors of physical therapy are also taught extensively to screen for “red flags” – a sign or symptom that comes up during the exam that indicates the need for a physician referral and possible further testing or imaging. A thorough exam performed by your therapist will ensure that physical therapy is appropriate. If not appropriate, a quick referral will be made to ensure you get treated properly. Physical therapists are valuable gateways between patients and healthcare professionals in ensuring you get the care you need as soon as possible. Do you need a physician’s prescription to see a PT? The answer is, sometimes (mostly dependent on your insurance provider). However, thanks to direct access it is easier and quicker than ever to initiate care with a physical therapist. Not too sure if PT is right for you? 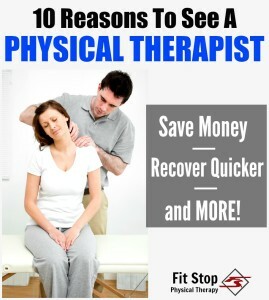 Check out these top 10 reasons why you should go see your physical therapist! If you have any questions about direct access, insurance, or setting up a physical therapy visit, please don’t hesitate to contact us here at Fit Stop and we will be happy to clarify any questions you may have!